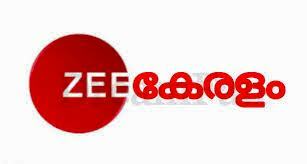 Zee Keralam will go on air on cable and DTH television platforms on November 26th. The media group ZEEL will present its Malayalam GEC Zee Keralam and its HD version of Zee Keralam on all cable and DTH platforms from 26th November. Zee Keralam has five distributors, including Fogg Body Spray, Chungath Jewelry, Nerolac Healthy Home Paints, 7Up and Palmolive. The content of Zee Keralam is inclusive for the family and is anchored in the culture of Kerala, which brings generations together. The station broadcasts seven feature films, three non-fiction books and a morning program. The channel will explore issues such as family structures led by migration and moribund art forms such as Basel. In addition, the channel offers a wide selection of films, including hit movies such as Mohanlal, Hey Jude, Aami and Madhuraraja, to name but a few. With his slogan "Neithedukkam Jeevitha Vismayangal" (We Weave Miracles in Life), Zee Keralam will present progressive content that will bring generations together by bringing together stories of ordinary people creating an extraordinary fate. Punit Goenka, Executive Director and General Manager of ZEEL, said earlier that the company's global market share has the potential to continue to grow with the launch of its Malayalam GEC. In the second quarter of fiscal year 19, ZEEL had a market share of 19.9% in the Non-Sport Entertainment segment throughout India. "We headed south with our first GEC: Zee Telugu in 2005, followed by Zee Kannada, Zee Tamil and Zee Cinemalu, and have since become market leaders in all states, winning the hearts of millions of South Indian viewers in the world:" We hope to continue the upward trend with the launch of Zee Keralam, "he said. Zee Keralam is expected to launch a major multimedia campaign covering all of Kerala's key districts, with the goal of achieving maximum reach and reach across all distribution platforms.